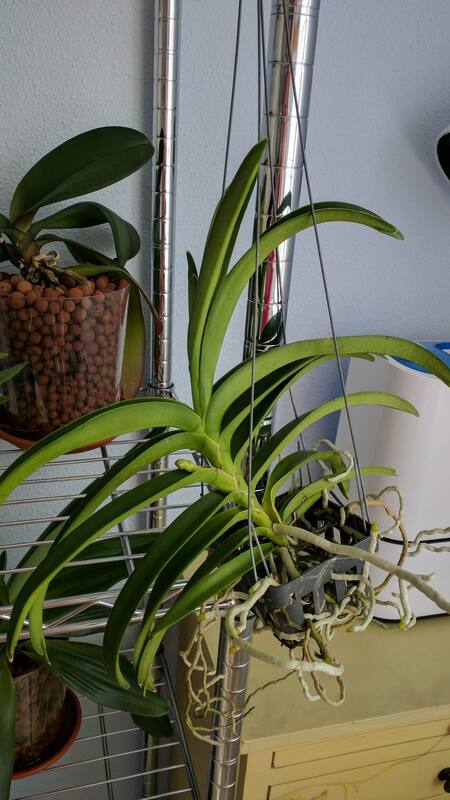 Malformed/mutated leaves on Phalaenopsis and Vanda (Ascocenda) - Orchid Board - Most Complete Orchid Forum on the web ! Hello everyone. I have a question that has been bugging me for a couple of months now. What happened to these leaves? 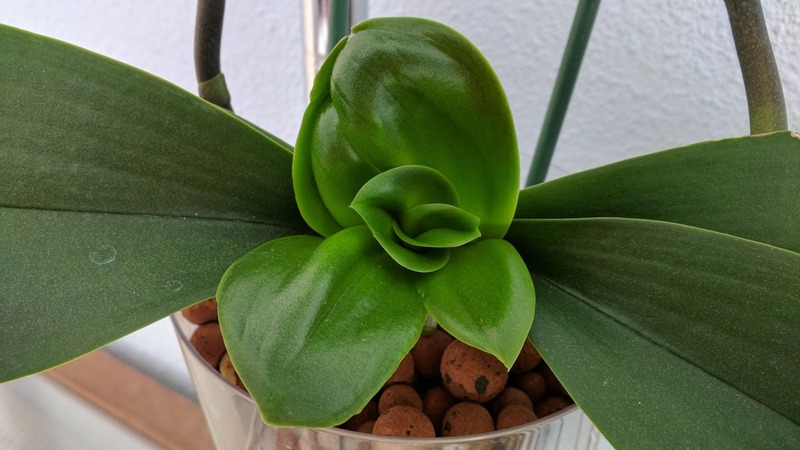 The first one, an Ascocenda, seems to have two fused leaves. 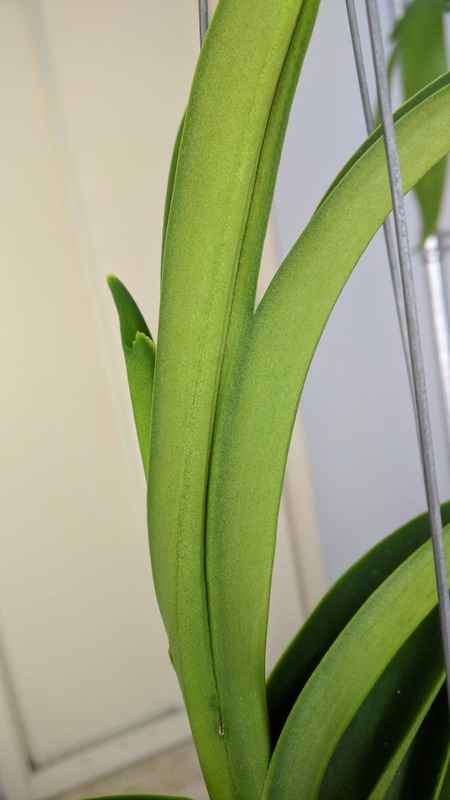 The second one, a Phalaenopsis complex hybrid, outright looks like a mess of new leaves. It seems to have happened only in a couple of leaves, as the next ones look okay-ish. What could have caused this? It's a malformation? A mutation? I am at a loss. They seem functional and otherwise healthy but... wow. They are so weird! It's hard to say without knowing more about your culture. 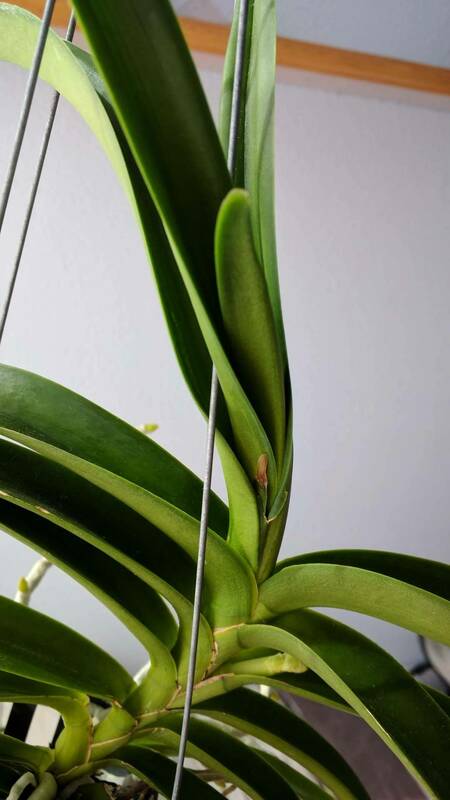 My "gut" tells me that the vanda has simply experienced a freak genetic "glitch", that can happen randomly, but that phalaenopsis looks like it was exposed to some outside environmental influence - probably chemical - that induced that wierd growth, so I cannot rule that out for the vanda, either. Can you tell us more about any additives you've used? Last edited by Ray; 08-10-2018 at 08:28 AM..
because some time ago I had problems with Fusarium and I am not risking it. That Phal was the most recently bought though, and I can't remember if I sprayed her with the product. Those are the first leaves she produced in my care. The Vanda definitely was sprayed, because she was the one with Fusarium in the first place. 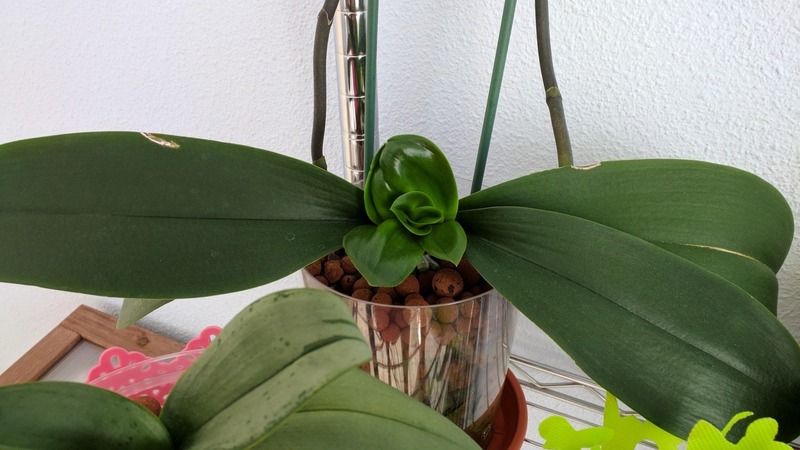 I have several other orchids and they haven't produced malformed leaves even if they were all treated with the product. PS: kudos for me for taking the time to look up the names of those compounds in English. Last edited by SillyKeiki; 08-10-2018 at 06:14 AM.. If the deformities were due to the spray - I don't know enough about the interactions of any of those ingredients with orchids to say - it is likely that future growth will return to normal. looks to me like the vanda is reaching for the sunlight....congrats on the bud spike! Yes, the next leaves are back to normal, as normal as the previous verticil is allowing them to be anyway. I am not worried. I was just curious to find out why this had happened. And yeah, I got my spike! Can't wait to have my orange flowers again. I have had so many sleepless nights over that Vanda, you wouldn't even know her story.